Hello! We were on vacation for the past six days, and I didn’t have much of an internet connection. But we’re home now, and we’re getting settled in tonight. :) I want to share with you a little package that I put together for two awesome friends—one in Missouri, and one in Texas. 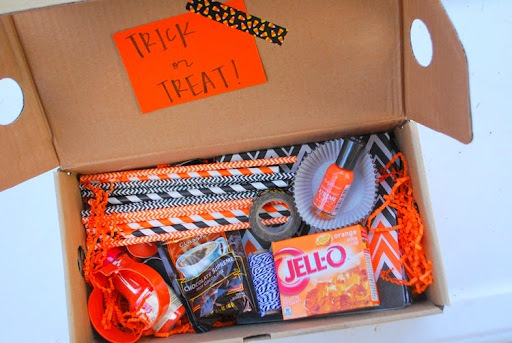 I am not hugely into the symbols of Halloween, but I still love the black and orange colors of the October season! 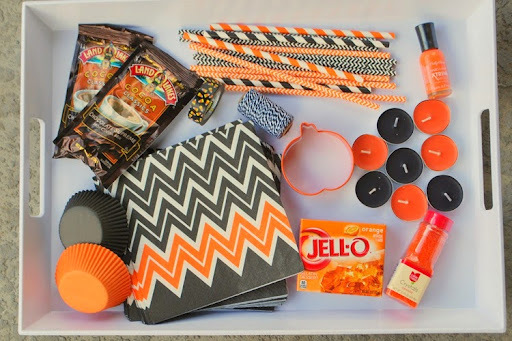 All of it was sent in a shoe box with orange crinkle paper (found at Walmart last Easter). I chose items that were light so that the boxes wouldn’t be over a pound each. So cute! You're always so thoughtful! Love that! I just LOVE this idea! I am going to do this for Christmas or Thanksgiving! Thanks for the idea!